On January 1st Square Enix got almost every geek on the face of the planet excited. 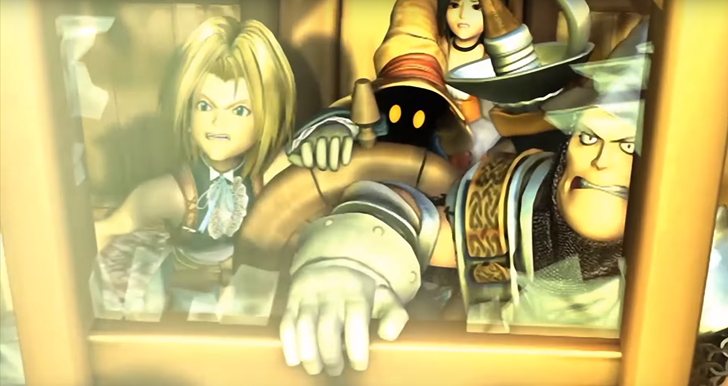 They announced that Final Fantasy IX (9) would be coming to Android and iOS “soon”. There was plenty of speculation about when “soon” would be. Given that Final Fantasy 7 was announced and released on iOS but we haven’t heard so much of a peep on a release date, not very many of us were overly optimistic. Yesterday, with not an ounce of fanfare and not even an official announcement, Square Enix released Final Fantasy IX to both the Play Store and to the iOS App Store! The Android release appears to stay true to the original with the gameplay but with improved graphics both during gameplay and cut scenes. The release comes with many new features including an auto-save function, hi-speed mode and a mode that removes random enemy encounters. For those of us Final Fantasy purists the last one, removing random encounters, will not be getting much usage, as I’m sure we would all agree that the random encounters are half the fun! Final Fantasy IX is now available on sale through the Play Store for $16.99 until the 21st. You can expect a review here shortly!